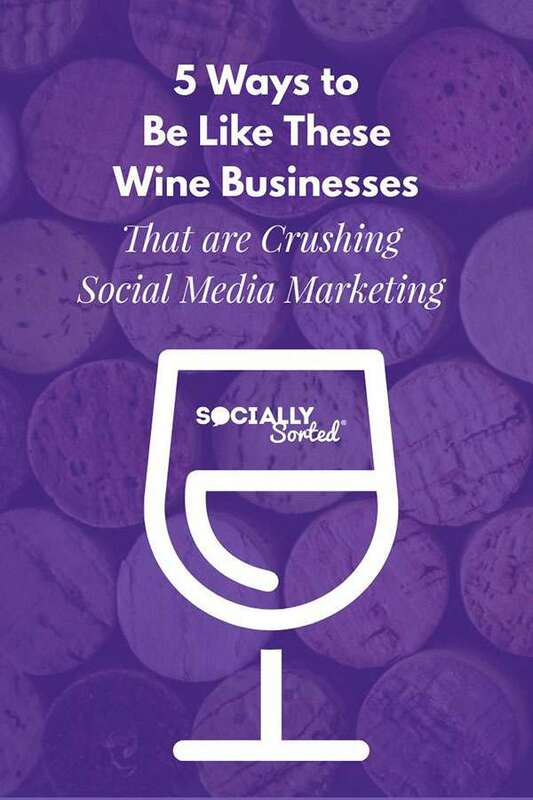 I’ve seen some awesome wine businesses crushing social media marketing over the years. From the wineries themselves to tours and accommodation there are a lot of things we can learn from these brands. In this post I share some great wine brands crushing more than grapes when it comes to content marketing and social media marketing. Now you can follow their lead and use the strategies too, no matter what industry you do business in. Starting a wine business or even a business in a wine region can be a romantic notion for many. But in reality the challenge to stand out from hundreds of others doing the same thing can be tough. These businesses have used savvy content marketing to stand out and get big results. 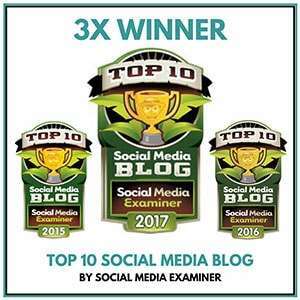 Although each of these examples is a wine business crushing social media, you can still can apply their strategies in your own business, no matter what industry you are in. Case in point, note that two of these examples are not actually wineries, but they ARE doing some savvy marketing that’s crushing it compared to the big wineries that they are surrounded by. I speak about the story of Sean Blocksidge and his tour company, the Margaret River Discovery Company around the world, especially at tourism conferences. I have also mentioned him on this blog before. Sean posts on Instagram and Facebook about his local area, the Margaret River. Yes, he posts about his tours. But if you look closely a lot of his posts, they are about the the people, the businesses, the beaches, the wildlife and the experience that is the Margaret River… as well as the wines. Sean is not a professional photographer, and is self-taught, but you’d never tell. And since he started using a drone, his photography is even more stunning. Sean runs amazing winery tours around the region but his tours are about more than just the wine. You’ll indulge in a delcious hosted private lunch in a top winery, but you also go kayaking, visit a billabong to talk about native wildlife and food, taste local honey and do part of the famous Cape to Cape Track ….and much more. Sean calls it the tour for people who don’t like tours. And yes, I’ve done it. After years of writing about it , it was my No 1 experience to do when I went to the Margaret River in 2016. Stunning. Sean’s tour has been the No1 tour in his region for many consecutive years on Trip Advisor. Just look at the reviews! Sean has consistently posted one image per day on his Instagram account for many years now. His images were part of the reason his account and tours were discovered and lead to positive Trip Advisor reviews early on – which then lead to his tours being booked out. He posts on Facebook too. It’s this simple strategy of posting consistently, one great image every day that has contributed to him having a very successful company and being booked out months ahead. Sean takes his images further by storytelling in the captions. He will elaborate on a photo or tell a story or yarn that’s related to the image. Often it’s insider knowlege or secret locations that the average tourist wouldn’t find (unless they follow Sean!). Driving down Caves Rd thisarvo and say to the young bloke “wanna go for a dip at the Natural Spa?”. “yeah sure Dad, can we parkour the rocks?” And thats pretty much how an 11 year old and a 46 year old ended up clambering up and over rocks like two legged mountain goats. The elder twinging a knee and realising he’s beyond parkour age. As consolation prize, the old goat scored a nice pic from above without a drone. Sean grew his social media following (and his booked out tours) by posting about the Margaret River region and not just posting about his tours. In fact, the number of posts that are about his tours are very low compared to his posts about the local area, the beaches, the people, the events – even other businesses. If you Google best restaurants in the Margaret River, guess what post appears on Page 1? Sean’s blog post. 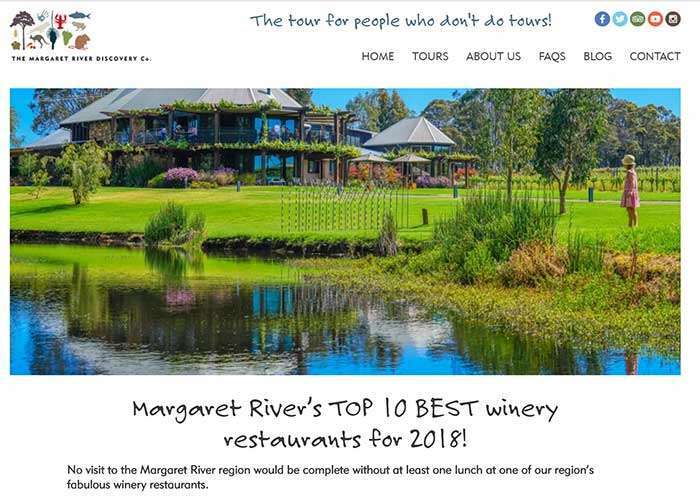 When I think about the Margaret River I think of Sean and the Margaret River Discovery Company – not the local tourism board or information centre. He has shared more content with me about the Margaret River than anyone else. 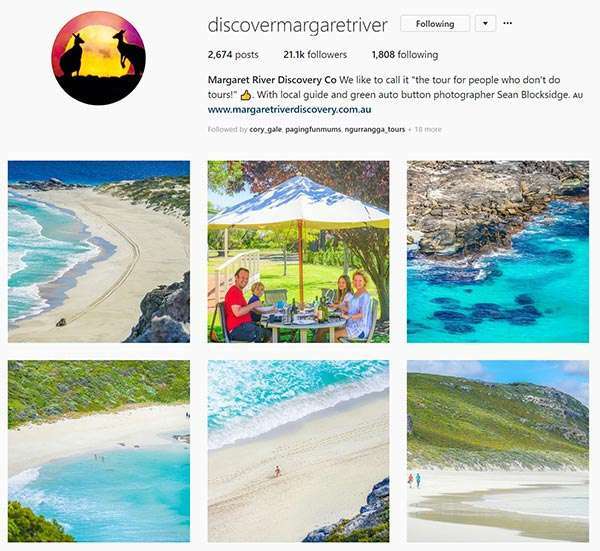 How can you be like Sean and Margaret River Discovery Company? Post consistently. Start with one image or short video every day on one platform. Focus in on that platform and get that one platform swimming along well, before you focus in on another one. Don’t just post about your business. if you are a business with a physical location post about your local area. It could be on your blog or on social media. If you become a trusted source for your followers, they will ultimately consider you as someone they trust for business too. Continue Storytelling in the captions. Take your story further in the captions, elaborating on the image. Invest in learning to take quality images. It could be just learning how to take some flat lay photos for your product business using your iphone or it could be learning how to take better photos for behind-the scenes shots. You don’t need a fancy camera or a drone to get started. There are plenty of YouTube tutorials about how to use the camera you have (again you don’t need a fancy camera – a smart phone is enough) to take better photos. PS when Sean won best photo in Australia last year (of two amorous kangaroos by moonlight) one might think it was a one off amazing photo. But the fact that Sean had an engaged loyal audience meant that his content was shared first by his audience, then went viral. Many hundreds of single photos per day lead to that win + an amazing photo of cheeky roos. I’ve been following Jordan Winery (Sonoma, California) on social media for some time now and was fortunate to see their marketing manager, Lisa Mattson, speak at Content Marketing World about their video strategy. Lisa has helped to make Jordan Winery one of the most successful brands on social media and has done so by injecting the human story of Jordan Winery back into the brand – mostly by using video. In her words, the goal was to capture the personalities behind the Jordan Winery. Follow Jordan Winery on YouTube, Instagram and Facebook to see what I mean. and many more. Basically if there is a tool or app that you can use in Instagram, Jordan Winery uses it. Takes a lot of beer to make great wine… #NationalBeerLoversDay. New Craft Beer blog on winecountrytable.com. 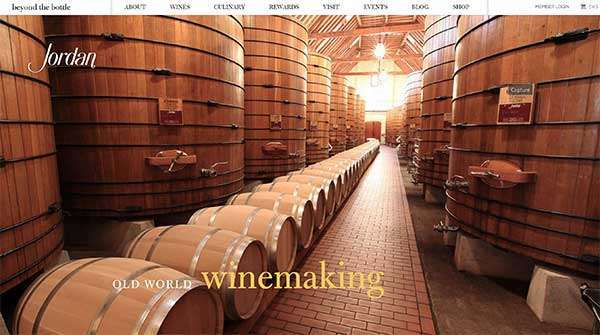 …Jordan Winery produces engaging short video on social platforms. Sure, Jordan Winery also produces some pretty snappy, edited videos on YouTube (see below). But they have mastered the art of creating quick, engaging, on-brand videos for sharing to Instagram (and Facebook). Have fun and Show Your Sense of Humour! Jordan Winery have created some cool videos that are just plain fun… including some parodies of songs! Jordan Winery also has a play list called “Just for Fun“ on their YouTube Channel. Check it out here. 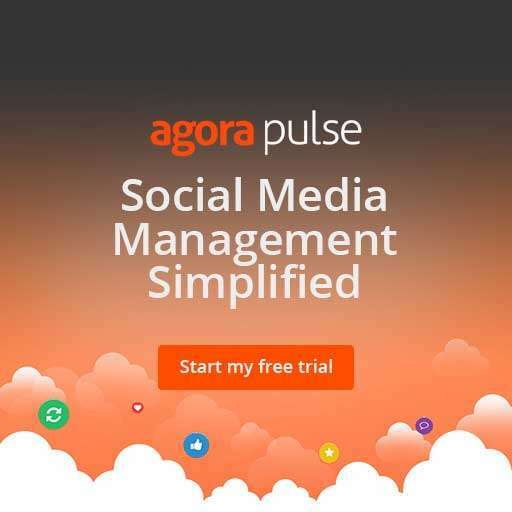 Think laterally about what your audience is looking for on soical media. It may not be about your product or service but it MAY be about an associated topic. For Jordan winery this could be kitchen hacks and kitchen gadgets, recipes, behind the scenes of how to make wine (for the wine buffs) … anything that the wine lover may ALSO be interested in. Take this video below about how to create French Macarons. People who like wine often love cooking, and macarons are one of those culinary challenges that the food connoisseur might like to master. Almost 1 million views (well, not far off… it’s well into the 900,000’s!) says that this is the type of topic that hits home with Jordan Winery’s audience. How can you be like Jordan Winery? Don’t worry about using fancy editing tools to create video for Instagram. Start with the tools available to you within the app. From video to slideshows to apps like Boomerang and Instagram Stories, you won’t run short of ideas. And they are free and easy to use! Have fun! Don’t take yourself too seriously. Film a parody, make a joke, have some fun on camera. Your followers will love you for being real and human (and for having a great sense of humour). Besides, fun content is more shareable, right? Create videos that are helpful and likely to be shared. Think laterally about the type of content that your audience will love, even if it is not about your “main” topic. Related topics are fine! Put another way, ask yourself this: What could be your “How to Make French Macarons” video? Don’t plan for it to go “viral” but plan for it to be helpful and entertaining for your ideal audience or customer and the views will come. Mirabeau Wine has been one of my favourite wineries to follow after hearing Mark Schaefer talk about their story on his blog and in speaking presentations. Just like Jordan Winery, Mirabeau are a video success story. Stephen Cronk moved his family from England to Provence in France to establish a small wine business with the goal of producing a Provence rosé that would be regarded as one of the best in the region. You can read his story here. Up against 600 quality rosé producers (just in Provence, alone) Stephen had his work cut out for him. With Mark’s help he turned to using video-based content marketing to stand out from hundreds of other wineries who weren’t. Long story short, Mirabeau has now been featured in some of the biggest publications in the world, has won awards for their wines, is sold in more than 50 markets and is a content marketing (and rosé) success. He recorded the good times and wins with the bad times and mistakes. wine tips and content that demystifies wine. Including behind the scenes with winemakers, chefs etc. the Provence region – sharing what the region had to offer (just like Sean in #1 above, Stephen became a “source” for his region. their family storyand the story of their business – the wins and the failures. Here Stephen explains how to taste wine in a retaurant – and why it’s not all about being pretentious! As Stephen says at the end of this video – “It doesn’t always go well”. And he’s not afraid to show it! One thing is for sure, it wasn’t just one video that made Mirabeau a success. It was a mix of a solid consistent, content strategy, a great storyteller (Stephen knows how to tell a story on camera)… and a fine rosé of course. 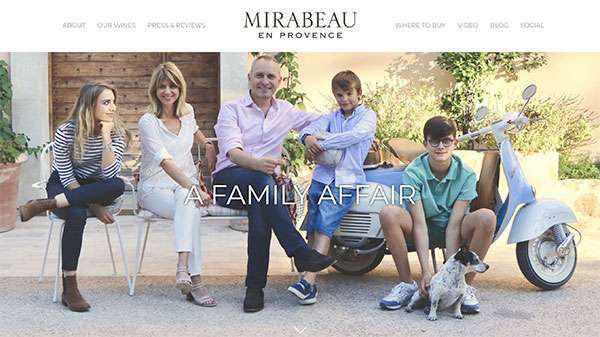 How can you be like Mirabeau? Share your story – all of it. Stephen wasn’t afraid to poke fun at himself as he established his wine business, and to share the wins, along with the big disappointments. He is human and relatable. Share your local region. Just like Sean, Stephen shares stories about the Provence region, not just his own product. From truffle hunts to recipes and the weekly markets in St Maximin, Stephen showcases Provence. Not just Mirabeau. Have a laugh – Stephen’s video about how to taste wine at a restaurant is lighthearted, not stuffy. He pokes fun at this whole process being seemingly pretentious and then breaks it down to help us understand why we do it. He adds humour into the topic. Oh and the shoe thing also works with a flip-flop! A few years back I was travelling to the Barossa Valley in my home state of South Australia with my husband and kids, and I Googled to find out some information on cellar doors and restaurants. A cottage. Not a winery, but an accommodation business. 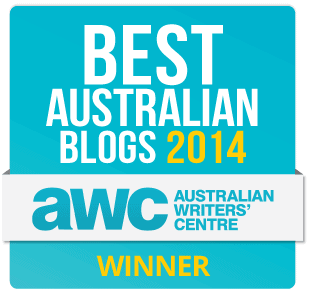 If I Googled Best Cellar Doors in Barossa…. guess what? Seppeltsfield Vineyard Cottage had an extensive two part guide on that very topic, sitting happily on Page 1 of Google’s results. If I Googled Best Restaurants in the Baroossa… guess what? Seppeltsfield Vineyard Cottage had a complete guide to dining. Again, page 1. For the purposes of this article, I thought I would try a new search. 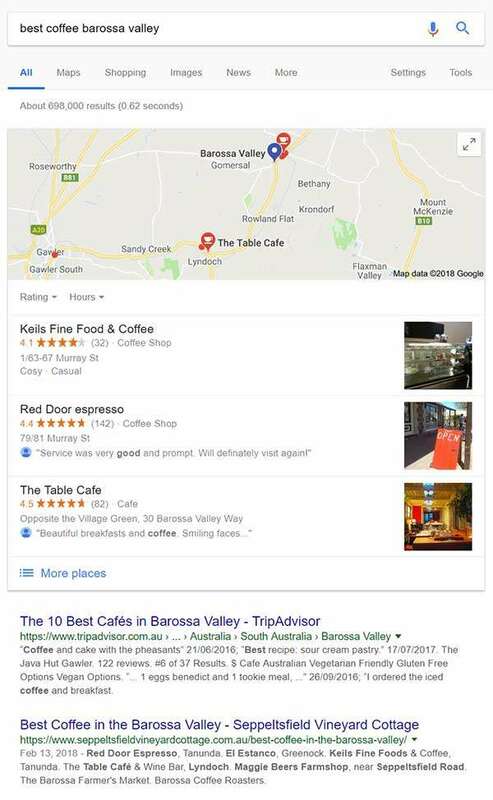 I googled Best Coffee in Barossa Valley. 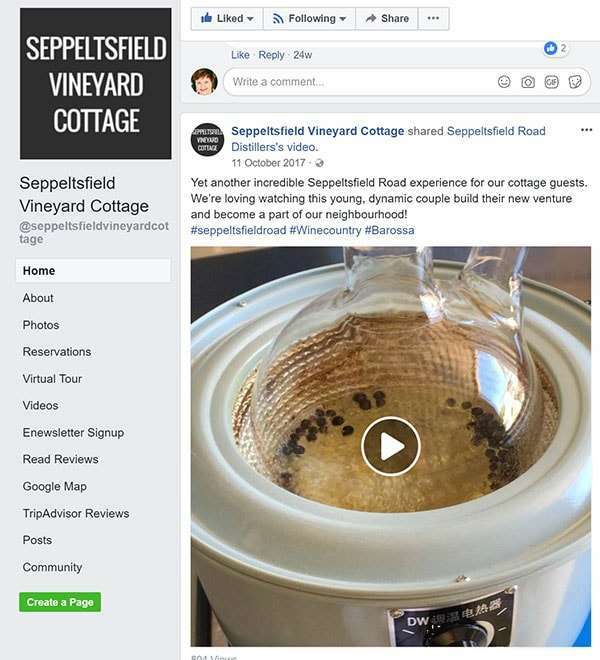 My point here is that the owner of Seppeltsfield Vineyard Cottage, Sharyn Rogers, has one approach to her content marketing – share the surrounding area with her guests and potential guests. This approach has seen her post about the neighbouring restaurants, local shopping, cellar doors, gin distilleries and coffee roasteries. In fact she largely focuses on businesses within walking distance of their cottage. The majority of Sharyn’s posts are about the region and the neighbouring businesses. Sharyn’s husband Peter runs a small winery next door to the vineyard and guests can sample the wines from that vineyard and wander through the vines as well (if they are lucky, Peter will join them and give them a first hand tour and chat about wine). Sharyn has even taken her approach to content marketing one step further. 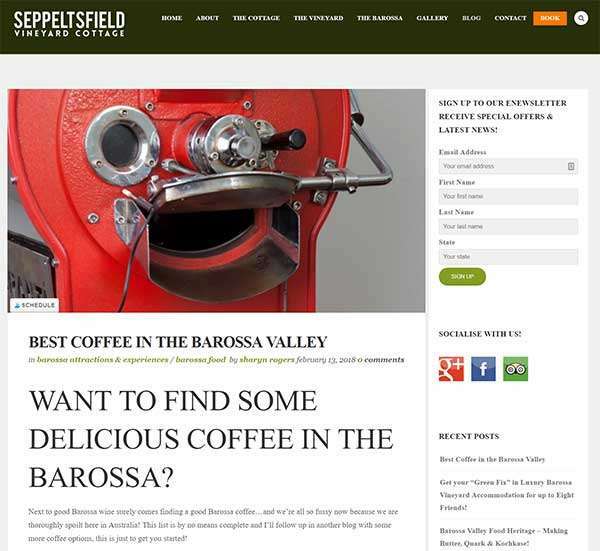 She now shares her small patch of heaven in a new website called The Seppeltsfield Road. She shares information about places to Play, Stay, Wine and Dine along the Seppeltsfield Road, just 5 kms of the palm-linedroad in the Barossa Valley. It’s a one stop shop for the area that houses over 18 of Barossa’s finest wineries, shops, restaurants, a distillery, bike trails… even accommodation. This approach has worked well for Sharyn and seen their cottage featured in major publications. But how can you use this in your business? 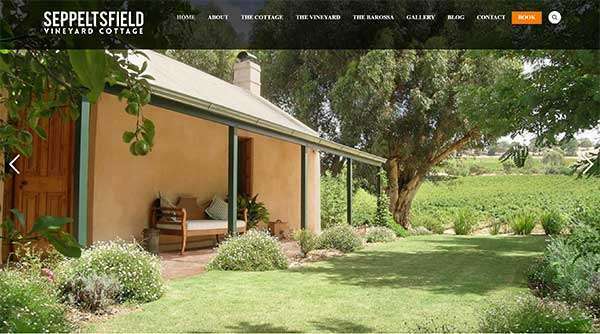 How can you be like Seppeltsfield Vineyard Cottage? Don’t be afraid to post about your neighbouring businesses. Online or offline, you can create powerful parternships and relationships by referring to businesses in your niche that provide services to your ideal customer. It may sound counter intuitive but by helping your customer – even if it is sending them to another business – it builds trust. You’re helping them after all, why wouldn’t they remember that? Blog about your local area. Just in case you missed it the first time ;o) Have you picked up in the recurring theme through social media, blogging and video yet? Focus on the experience of your customer first. By focusing on the experience of a stay in the Barossa, Sharyn knows that it’s important to share the surrounding businesses. If a guest has a great stay, they refer their accommodation to someone else. Word of mouth at its best. How can you give your customers a great experience with or around your product? 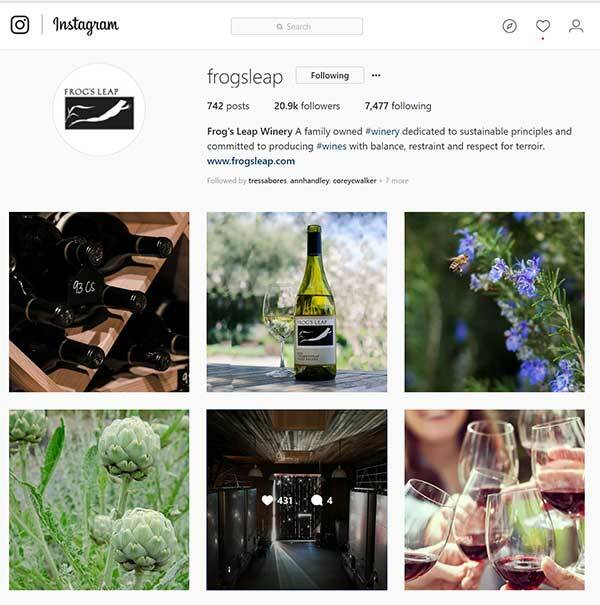 Frog’s Leap Winery is the last of the 5 wine businesses crushing social media marketing. It’s a small family owned winery in the heart of the Napa Valley, producing wines for 35 years. Their vines are 100% dry farmed (no irrigation) and they organically grow their grapes. Despite these unique (and awesome) farming practices, like any other winery, Frog’s Leap have to stand out in a saturated marketpac. There are over 400 wineries in Napa alone! To set themselves apart, Frog’s Leap Winery focus in two things: building brand awareness and community. To do this they primarily use visual storytelling on Instagram where they have built a strong following. 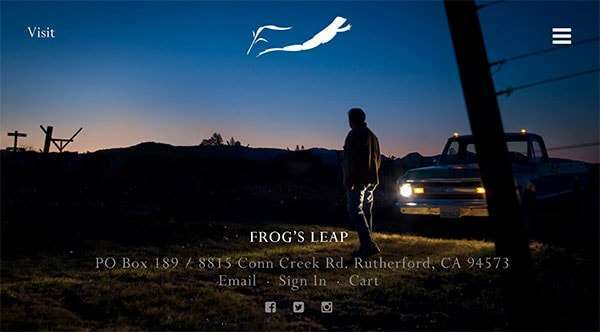 Authentic – Frog’s Leap is a small family winery producing quailty wine, steadfast in their principles, organically growing grapes before it was trendy, using dry farming and focused on sustainability. Nicole translates that information into using natural light, and a color palette that reflects their brand. She also asks herself before posting: is this thoughtful and worth sharing? Timeless – Frog’s Leap has been mastering their craft in the heart of Napa for over 35 years. Nicole wants to evoke emotion, inspiration, and memories of a guest’s last visit to the winery. The pictures are often moody. They reflect what it feels like to be at the winery, with dreamy landscapes, soft light, natural color, and balanced contrast. She will choose lifestyle shots showing people with the product vs rather than a simple bottle shot about a case sale. Genuine – Frog’s Leap is known for warm hospitality. Nicole wants to reflect this in her posts. She uses warm colors, natural lighting, subjects that are often candid, cheerful and happy. She avoids blue tones, harsh lighting, and sharp contrast. She also does her best to make sure that they aren’t taking themselves too seriously, adding a little humour now and again. Nicole also shares User Generated Content on their Instagram Account (with permission from the user). This content, as well as the content she takes and shares herself, is reflective of the approach she takes above. If you look at the feed there is definitely a timeless, genuine feel about it (even the user generated content shared from their visitors). Use variety. Take more photos than you need to, and at different angles. Don’t be afraid to be a curator. Put your ego in check and realize that you don’t always have to be the artist. Think like a curator of a beautiful art gallery using images from loyal fans (giving credit of course). Be consistent. Post everyday and use the same look and feel. Nicole uses the Color Story app to make sure the filter remains the same. Did you learn a few tips from these wine businesses crushing social media marketing? Take just one tip and apply it to your business today. Remember, you don’t have to be a wine business to crush it on social media. But if you have a glass of shiraz in hand while you do it you may get better results, just sayin’. Over to you. 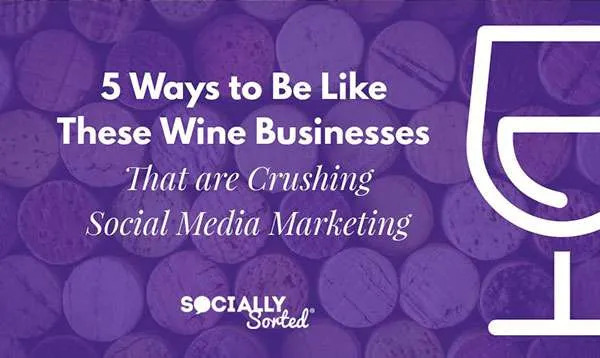 Do you have any examples you can share of wine businesses crushing social media marketing? What tips can you take away from this post that you can apply in your own business, perhaps in another industry, unrelated to wine!